1. Build a Solid Keyword Plan. a. Put together a list of words and terms relevant to your business or industry and prioritize the ones you’d like to rank for (these can also make good blog topic ideas). Remember that people are using full sentences or longer phrases more and more in their searches. Keep your target locations in mind as well. b. Take advantage of SEO tools like Google Adwords Keyword Planner, Act-On Inbound or Hubspot’s Keyword Research Tool to check the rankings of your keywords and note their competition levels. Also, keep in mind that certain popular terms within your industry, will be extremely difficult for you to rank for, regardless of the size of your company. 2. Add appropriate Metadata on every page of your website. a. The Page Title should contain no more than 70 characters. b. The Meta Description shouldn’t exceed 50 characters. c. The Meta keywords should have no more than 500 characters. Note: Keywords that are more towards the front of the metadata copy will rank better in search. 3. Optimize the body copy of all webpages with keywords as naturally as possible (avoid keyword stuffing) for the purpose of human readers, not Google crawlers. a. Headers & URLs: Place the most important keywords towards the beginning of your headers and URLs. Choose keywords you think will get clicked and shared the most. The term Social search refers to how content being shared on social media increases the amount of links and traffic to your webpages, and thereby improves search rankings. b. Links: Include keywords in the text of your hyperlinks, especially in the first ones listed on a page. Note that it’s better to link to a page that is already ranking well in SEO. c. Tags: Using tags sparingly. Tags themselves do not improve SEO; rather it’s the relating of one piece of content to another. Overusing tags, or creating tags that share the same words, looks like duplicate content to Google crawlers and you’ll be penalized. d. Image Text/Alt Text: Use keywords in your image text. Not only will this be visible to search engines, but if an image doesn’t load properly for a visitor, they will at least still be able to read the text that describes that image. 4. Link Building. Sharing links with your Alliance Partners (and vica versa) will grow your website’s link profile, draw the attention of search engines, and direct more web traffic to your website. 5. Mobile Optimization. Since a significant portion of today’s internet search traffic comes from mobile devices, Google penalized the search rankings of webpages that aren’t mobile optimized. 6. Blogging. Every time you create a new blog page, you’re creating another dynamic page, or dynamic content. So by creating an ongoing blogging strategy, you’ll continuously be adding fresh content and developing a quantity of pages for Google to rank on your website. As you can see, a solid SEO strategy is essential to driving more prospects to your website, and keeping them on your site. So by optimizing all the pages of your website, you increase your chances of those prospects finding you in local search results, retaining their attention, and eventually increasing your conversion rate. The graphs below put into perspective the marketing channels companies spend their time and energy on, versus what channel produces the best results: SEO. 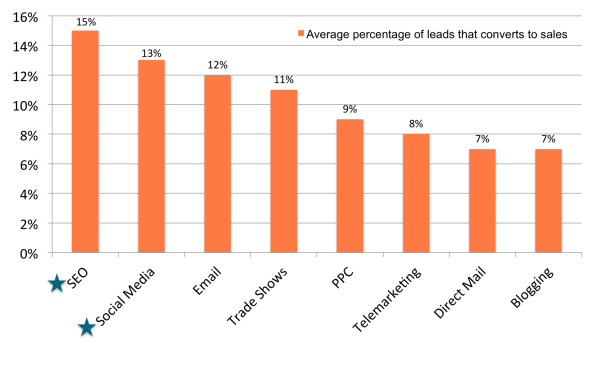 According to this chart, SEO leads have a 15% close rate, while direct mail (outbound lead) only has a 7% close rate. So as you can see, working to improve your SEO is one of the most effective uses of your time and effort, in terms of converting sales, acquiring customers, and overall business success. By now, we hope we have given you enough information to help you get started applying stronger SEO practices for your business. Feel free to read more on inbound marketing topics in our other MSP Marketing Plan blog posts. Act-On and HubSpot also offer valuable SEO guidance on their respective websites as well. If you’d like to discuss your inbound marketing, marketing automation, or your specific SEO objectives with us, please use the comment section below or contact Steve Perry directly at slperry@pereion.com. Please also feel free to share this blog using the social media icons above. You can subscribe to the Pereion blog below, as well, to continue receiving information on how MSPs can utilize marketing strategies. 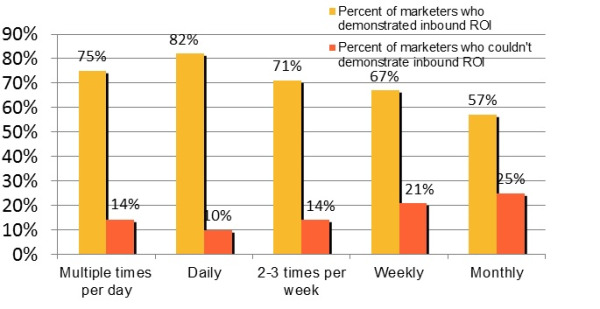 1100 Stats, Charts, and Graphs to Get Inbound Marketing Buy-In, HubSpot, 2014. 2Sobieski Services Increases Revenue 125% with HubSpot Lead Intelligence, HubSpot, 2014. 3Health Services Success Story: Legacy Dental, HubSpot, 2014. 4 Paranet Increases Organic Leads By 2000% Using HubSpot, HubSpot, 2014. If you ask any marketer they will tell you that a blog is a must have for your website, regardless of your industry. This is definitely true for Managed Service Providers, blogging should be at the core of your marketing efforts. Blogging is hard and time consuming, but there is no way around it. Managed Service Providers need to maintain a business blog because of the effect it will have on your marketing ROI. Below is a chart to demonstrate how the frequency of your blogging habits has on ROI. Of course, maintaining a higher frequency on your blog requires time and effort. Blogging will improve your SEO and drive more traffic to your website. Search engines, like Google, prefer dynamic content, so every time you post a new blog, you are creating a new page for your website. This gives search engines an additional opportunity to rank your website in search and index more of your pages. Over time, your SEO performance will improve. The challenge for an MSP in blogging is coming up with good topics to write about and maintaining a consistent approach. But the beauty of blogging is that almost any topic related to your business or industry is fair game, the focus should be on educating your audience. Anything that sparks a conversion with your target audience is perfect. Even just raising awareness on a topic within your industry will still work in your favor. You should be able to naturally tie in your product or service within the conversation as well. Regarding blogging strategy, there is not one right answer across the board. A good rule of thumb is to be blogging once per week. The following questions should help you to formulate a blogging plan. How often should you post? Daily? Weekly? Monthly? What % of your web traffic is being generated from your blog? Do you have web forms on your website to convert blog traffic to leads? What are your competitors’ blogging about, and how often? The best thing you can do is just get started! Start today! Do it consistently! For more on MSP marketing practices, please see our MSP inbound marketing page. HubSpot also offers some valuable guidance for blogging in this blog post as well. To discuss how to implement a blog for your business, please comment below or contact Steve Perry directly at slperry@pereion.com. Please share this blog using the social media icons above, and subscribe to the Pereion blog below for further tips on inbound marketing for MSPs. 1 100 Stats, Charts, and Graphs to Get Inbound Marketing Buy-In, HubSpot, 2014. 2 ViFX Uses HubSpot to Power Sales Team and Halve Its Sales Cycle, HubSpot, 2014. Can Inbound Marketing Really Double Lead Generation For a MSP? Managed Service Providers (MSPs) have a lot on their plate. But in the end, just like everyone else, you need to find the best approaches to grow your business. To grow your business you need to dramatically increase lead generation. So how are other MSPs doing it? Inbound Marketing is one of the key tools growing MSPs are using to grow lead generation across expanding service areas. 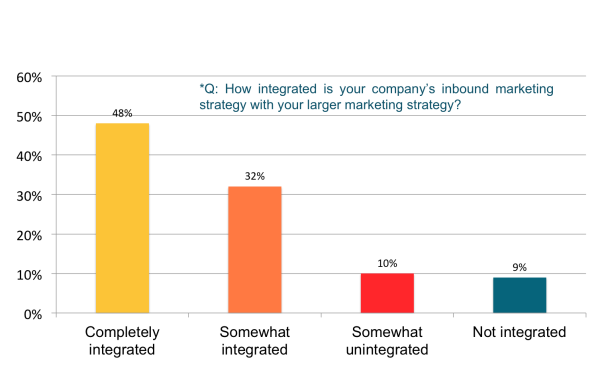 Can Inbound Marketing improve your company’s marketing ROI? What are your most important sources of leads today? Specific to Inbound Marketing, how does your 2014 budget compare to your 2013 budget? What % of your leads currently come from inbound marketing? From outbound marketing? What % of your annual lead generation budget will be spent on inbound tactics? On outbound tactics? What is your cost per lead for inbound channels, such as blogging, SEO and social media versus outbound marketing? Do you supplement inbound marketing with paid digital advertising? What % of leads comes from these channels? What % of those leads convert to actual sales? How will you promote that new managed service practice you are launching? Hopefully these questions will help stimulate some fresh ideas on Inbound Marketing and help you increase your lead generation, conversion rates, ROI, and ultimately, grow your business. As your business grows and you launch new services, Inbound Marketing provides you with a vehicle to launch and promote that new service offering. If you’d like to discuss your specific MSP inbound marketing goals with us, please use the comment section below or contact Steve Perry directly at slperry@pereion.com. Please also feel free to share this blog using the social media icons above. You can subscribe to the Pereion blog below to continue receiving information on how MSPs can utilize inbound marketing strategies. 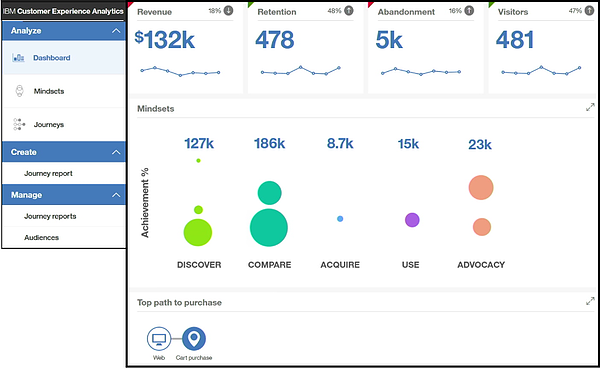 2The Data You Need to Make a Compelling Case for Inbound Marketing, HubSpot, 2014. 3IT Consultant NSK, Inc. Sees 207% Increase in New Client Revenue using Inbound, HubSpot, 2014.